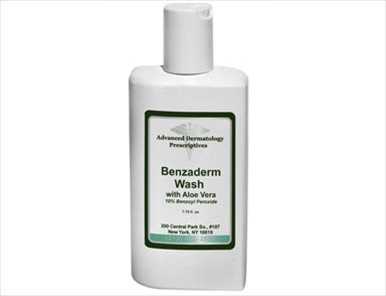 A therapeutic combination of benzoyl peroxide with Aloe Vera gel for the treatment of acne. Wet affected area, wash, and rinse well. Use once or twice daily or as directed by a physician. If drying or peeling occurs, reduce applications. If going outside, use a sunscreen.